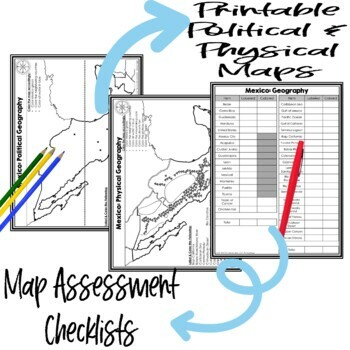 Geography of Mexico – Map Activity is a 5-page resource that allows you to map the physical and political attributes of Mexico. 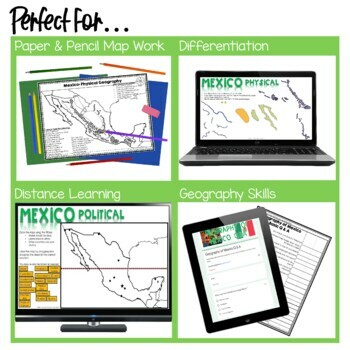 Students are provided with a map of Mexico to map the physical and political characteristics of the country. A colored answer key is provided. Also included is a checklist to more quickly check students work. Finally, there is a Q&A worksheet (also with a colored answer key) that asks students basic facts about the geography of Mexico. 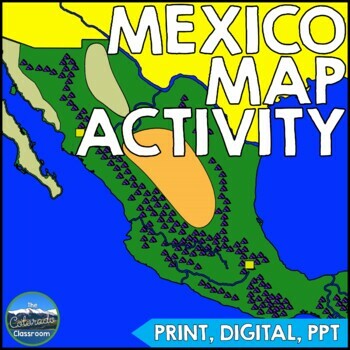 You may prefer the full lesson on the geography of Mexico, entitled Get to Know Mexico Geography. It includes everything seen here, as well as a slideshow that helps students to locate all the places they must find for their maps. It also includes cloze notes, two column notes, a study guide, and a test. It is a great deal.